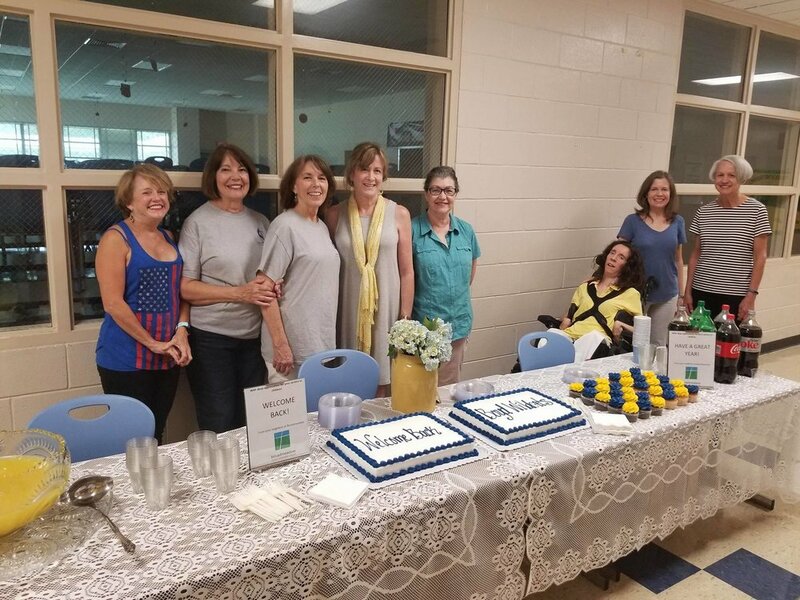 A few of Broadmeadow UMW members at the Boyd Elementary "Welcome Back to School" party. The United Methodist Women of Broadmeadow meet on the third Tuesday of each month, September through May, at 11:00 a.m. in the church parlor for study, worship, lunch, and fellowship. All women of the church are invited and encouraged to attend. Globally, United Methodist Women form a community whose purpose is to know God and to experience freedom as whole persons through Jesus Christ; to develop a creative, supportive fellowship; and to expand concepts of mission through participation in the global ministries of the church. From its beginning, United Methodist Women has focused on ministries with women, children, and youth. Broadmeadow’s UMW seeks to live out this mission, purpose, and focus.